You can never go wrong with enjoying some extra Jevelin theme examples before you fully commit. While the theme itself is already loaded with numerous one-of-a-kind demos and even more predefined content, seeing it others use it is an entirely different thing. Before we go and see the websites, let’s first remind ourselves of how amazing the theme actually is. Jevelin is a multi-purpose WordPress theme with unique features and unlimited options regarding web design. You can create the most complex website with Jevelin or you can go as minimal as you want. With a powerful theme, you can do just about whatever you can think of. What is more, when it comes to Jevelin theme, you need zero prior website building knowledge. It is a flexible tool ideal for both newbies and advanced users. If you like to go really deep before you take the plunge, Jevelin theme examples are one last thing you need to check. But first, let’s list down a handful of a total of dozens of remarkable features Jevelin brings to the table. Over twenty demos that vary from blog, shop and landing to corporate, fitness, wedding and photography. Benefit from fifty and counting elements and custom styles along with more than forty custom shortcodes. Jevelin is in all compatible with mobile devices, retina screens and modern browsers. Ridiculously simple to use and efficient Element Editor. Customizing and editing content to your likings is as simple as saying ABC. Create extraordinary slideshows with Slider Revolution which you get with the Jevelin theme at no extra cost. There is no need to trouble yourself with SEO optimization. That is somethig that has already been sorted out. You rather focus on seeing the organic traffic coming in. Fantastic one-click install makes your website look just like theme’s demo in a snap. Contact Form 7 integration allows you to craft contact forms like none out there. Parallax efects, testimonials carousel, smooth scroll, social icons and full video background support. It works flawlessly with any language and does not shy away from right to left (RTL) texts. Super helpful video tutorial that shows how to install Jevelin theme, demos and content. To truly get familiar with Jevelin, make sure you do not miss our complete theme review. Let’s kick it off with Hample Insurance website. A stunning example of the Jevelin WordPress theme with a full-width slider, transparent menu and a good portion of features. Animated statistics, typewriter effect, on scroll animations and lovely hover effects. It is a well executed one-page website with a footer reveal and a back to top button. It also sports testimonials and partners slider, as well as a straightforward contact form with reCAPTCHA. Smooth transitions and strategically placed call-to-action (CTA) buttons give you a clearer idea how much you can do for you business with Jevelin. Have you had your cup of joe yet? This next one will not only be a great Jevelin theme example but a remembrance of the great dark and delicious liquid. Feel free to stop, take a sip and continue with a warmed up belly. 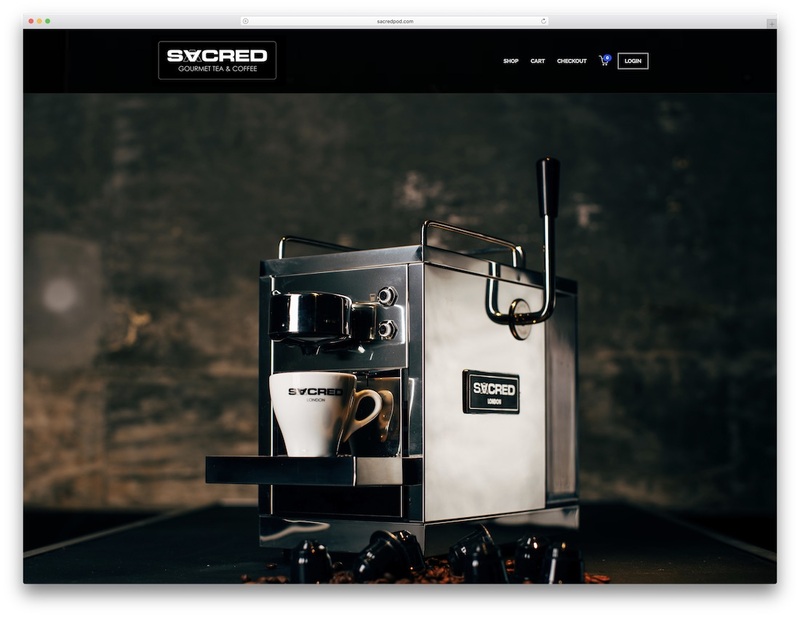 Anyhow, it is Sacred Cafe website that we have here for you. 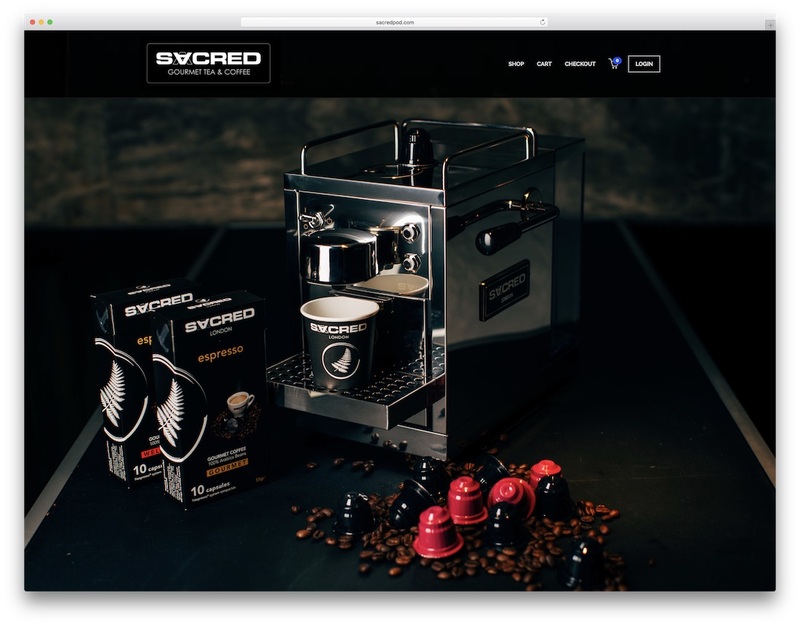 A super simple solid black navigation bar featuring logo and menu with the login button. But it is the full-screen slideshow and the jaw-dropping pictures that has you glued to the screen forever. For the most part, Sacred Cafe is keeping things fairly basic and to the point. It is an online store selling coffee, tea, accessories and other stuff, like mugs and coffee machines. With Liberationist, you will see something entirely different. This only shows you how versatile Jevelin theme is. You can use it for literally whatever you want. Your mind and creativity are the only limitations here, Jevelin surely is not. The powerful features, the flexibility and the extensibility of the theme can quickly transform your idea into realization. 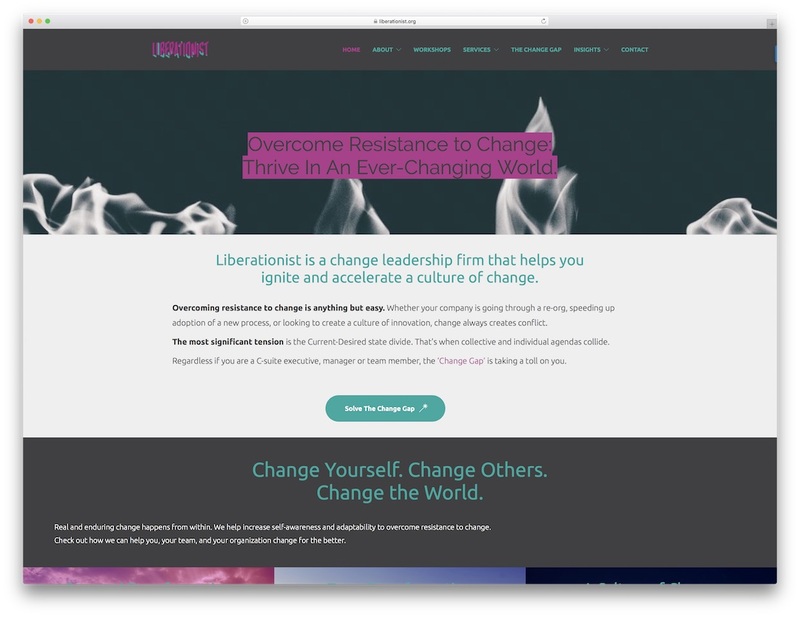 Flip through Liberationist website, check out parallax effect in action, simple and eye-catching newsletter subscription box and a different take on testimonials. Get things going sooner rather than later, and your website will be live shortly. Yes, you can undoubtedly use Jevelin for a travel agency, too. For a solid proof, you better go check Feel The Travel, a Polish based agency that focuses on destinations like Cuba, Cambodia, Thailand and Vietnam. Massive slider with fluid transitions, transparent menu and a transparent travel destination picker, that’s what you get on the first load. Sure, it is the images that make you want to go on a trip right away. However, the features of a website are the part that actually gets you in touch with the agency or even book the vacation straight away. Have it all on your agency website is crucial for happy clients. 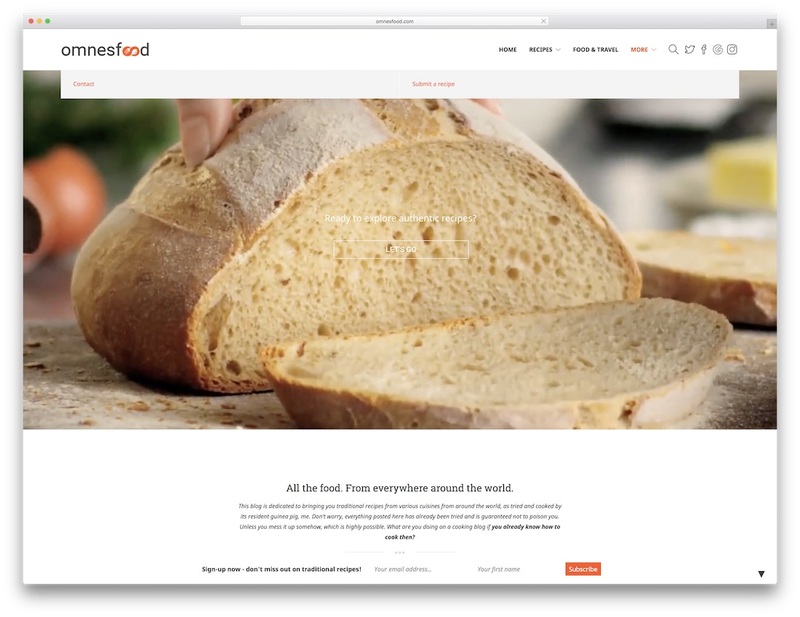 Omnesfood is a fantastic Jevelin theme example that shows you how well a video banner can work for a food website. Sometimes, you just want to take one more step, avoid the delicious images and have an even tastier video instead. Do what feels right. Bear in mind, with Jevelin’s versatility, you can quickly and effectively test different things out. What works for one does not really mean it will work for you, too. Tailor your website experience for your users precisely and grow it to new heights. One more cool thing about Omnesfood is the sticky subscription tab at the bottom. Visitor can subscribe to your newsletter at any time or hide the tab if they already did it. 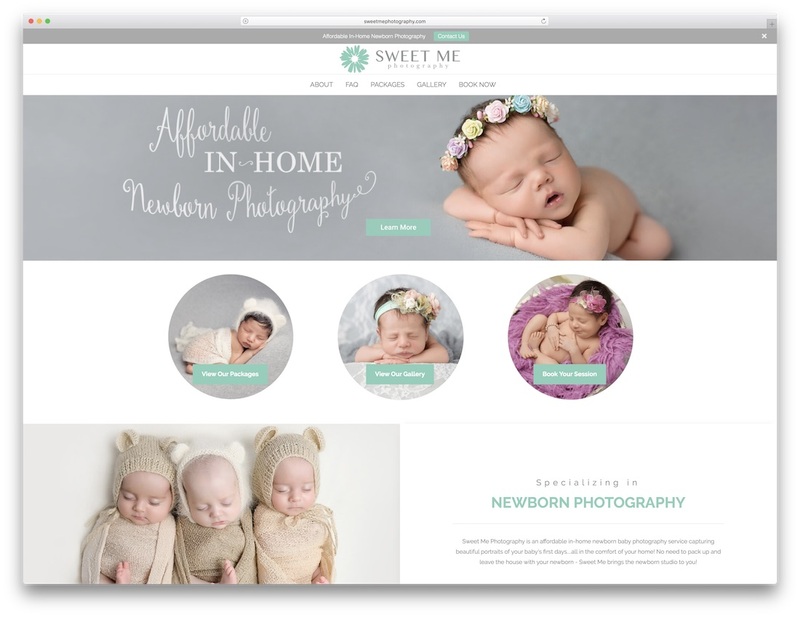 Sweet Me Photography is a newborn photography service which web presence is based on the Jevelin theme. It is a unique example of how little limitations the powerful theme has. None, to be exact. You can use Jevelin WordPress theme for any project and business and have it help you grow slowly and steadily. What Sweet Me Photography does best is it shows all the baby photographies in a very sweet, hence the name, way. Their filterable portfolio section allows you to see only boys, only girls, multiples and the entire family. Down at the bottom, Sweet Me Photography has a box with their awards and footer section rocks social media icons and Facebook widget. I need to create a website for my home building service, can I do it with Jevelin theme? Indeed, you can. 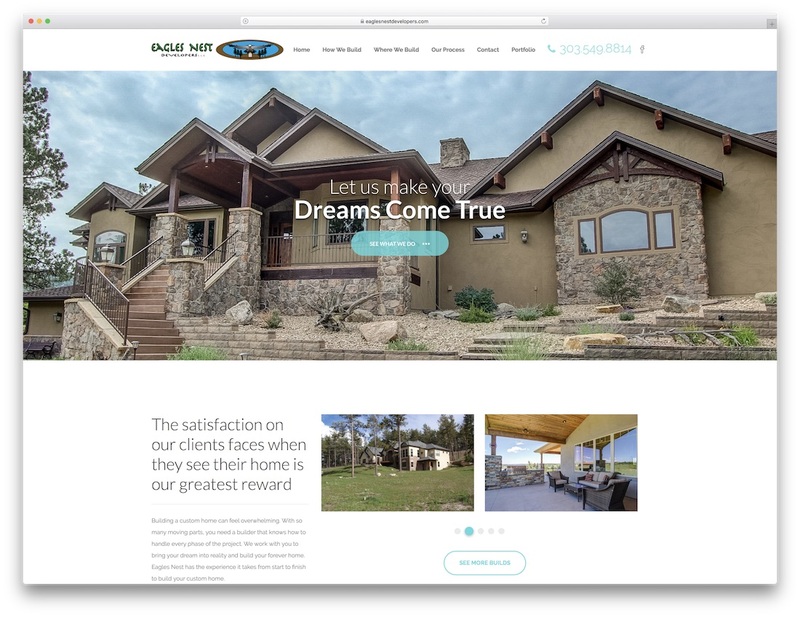 Eagles Nest Developers is the exact website you would want to visit in this case. It is a Douglas County and surrounding areas based home building company with a professional website. They took a timeline to their advantage to tell their process and get clients familiar. Immediately after, Eagles Nest Developers features a get in touch form and a telephone number to call them straight away. The simplicity and minimal approach to web design of You Can Today is a marvelous Jevelin theme example that you should not miss. 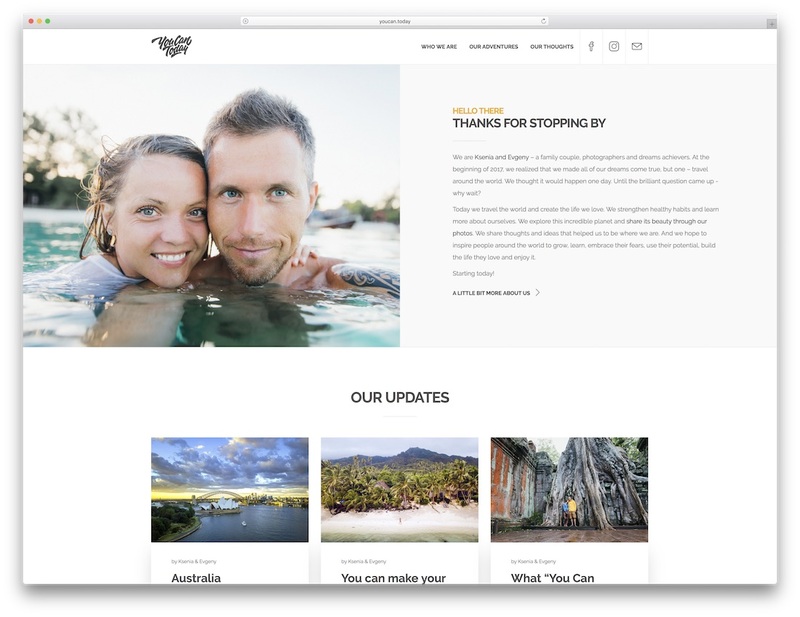 It is a personal website aka a blog of a couple who enjoys their lives traveling the world. You Can do a website Today, too with ease using Jevelin theme. 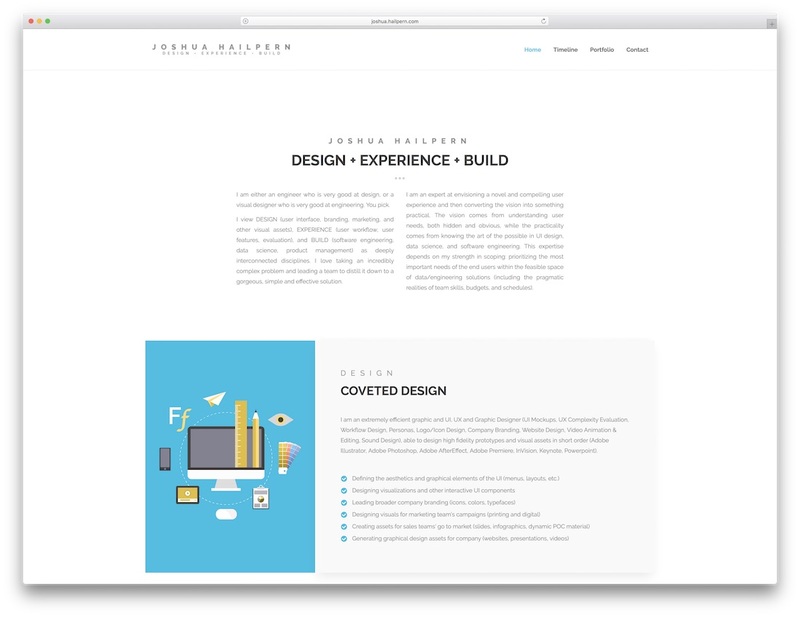 Of course you can design the exact same website that Ksenia and Evgeny own, but filling it with your personal touch would be an even better option. Work with Jevelin at its full capacity. While Jevelin comes out of the box with demos developed for agencies and businesses, each can be customized per your request. 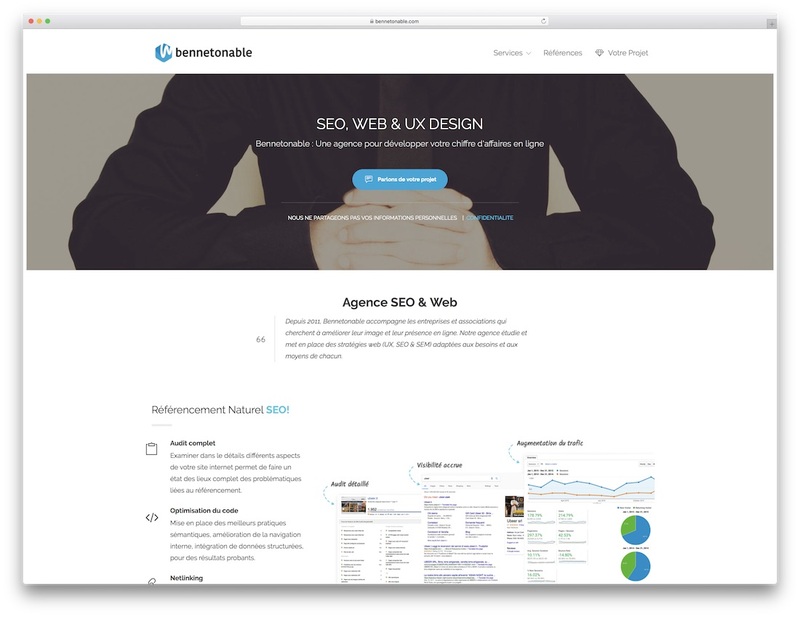 Bennetonable is an SEO, UX and web design one-man-band agency. Pierre does not only offer consultancy, he helps you put the strategies into play and even builds a website for you. Will he use Jevelin theme for his clients, too? It could be since the theme is an all-around tool for hammering out tens if not hundreds of entirely different websites. Take a peek at how he designed and developed Bennetonable with the exact same theme. 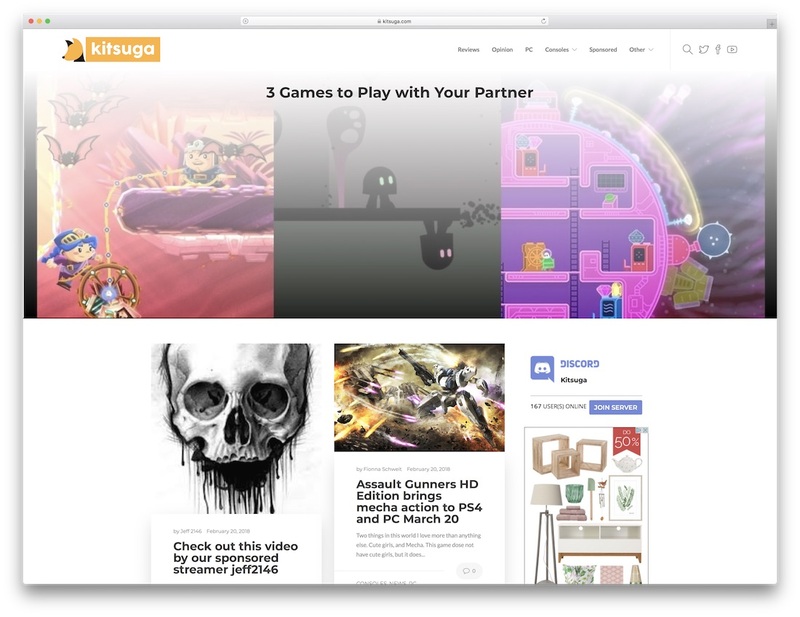 Kitsuga is a slight variation of Jevelin’s blog demo with masonry style and a sidebar. As you may see, it is a gaming blog with an emphasis on anime. Very straightforward with the full-width slider, sticky menu and a plain footer. Social icons and back to top button decorate the website along with an example how you can introduce Google Ads to your blog. But if you are also interested in how to monetize your blog, we already have an entire article written about how do blogs make money. Let Kitsuga Jevelin theme example hype you up to take the first step and get that blog up and running now. If you are into tabletop games or enjoy painting and collecting metal miniatures, Northumbrian Tin Soldier is one you will enjoy. However, while the topic is cool and whatnot, it is the Jevelin theme example why we are initially here for. 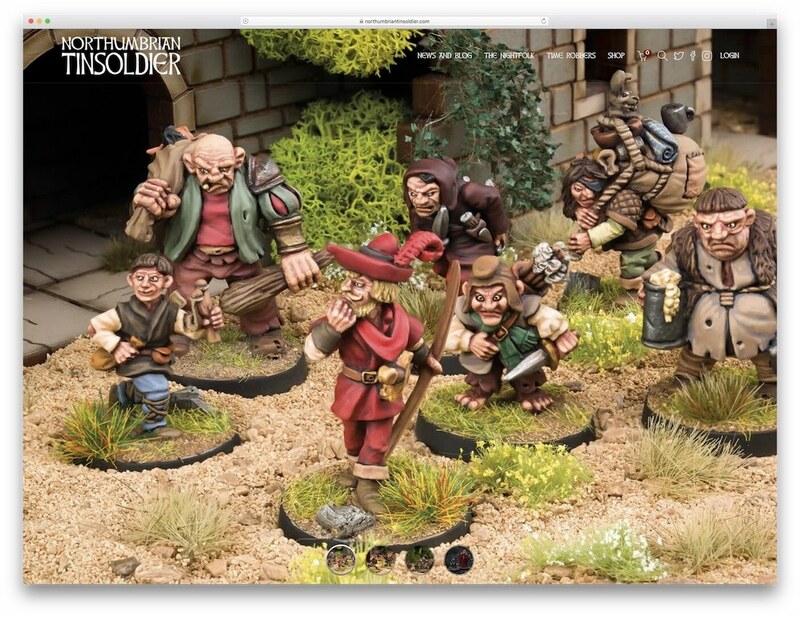 Northumbrian Tin Soldier is an awesome online store with great features and functionalities. Full-screen slider, parallax effect, new arrivals slider and newsletter subscription section, it is all there. There is also a masonry blog segment and the footer section reveals only on scroll. Whatever your heart desires, Jevelin is here to take care of it. Although you can make a simple and minimal website with other themes that specify on such sites, you should think of your long-term plan. If you plan on expanding in the future or even if you do not and are open to opportunities, a multi-purpose theme is a great option for you. 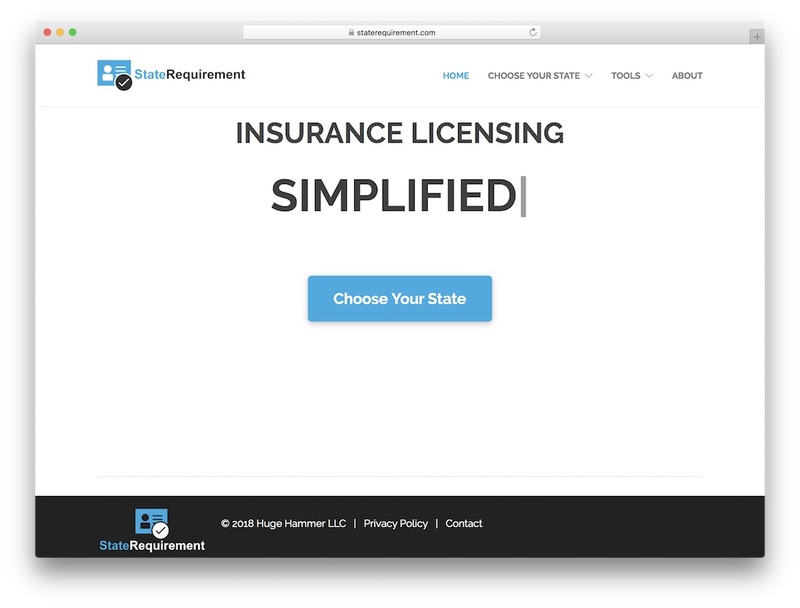 In the case of StateRequirement, the page is neat with just enough features what makes it special. It might be only a three color website with lovely typography and a typewriter effect and that is all you need. Okay, you do need compelling content but that is not part of Jevelin’s job. The Football IntelliGym uses a variation of a Jevelin predefined demo which is optimized for their services to the T. Transparent navigation which later transforms into a sticky menu when you begin scrolling. But most importantly, it is the immense slider with title, text and call-to-action button what creates a strong first impression. 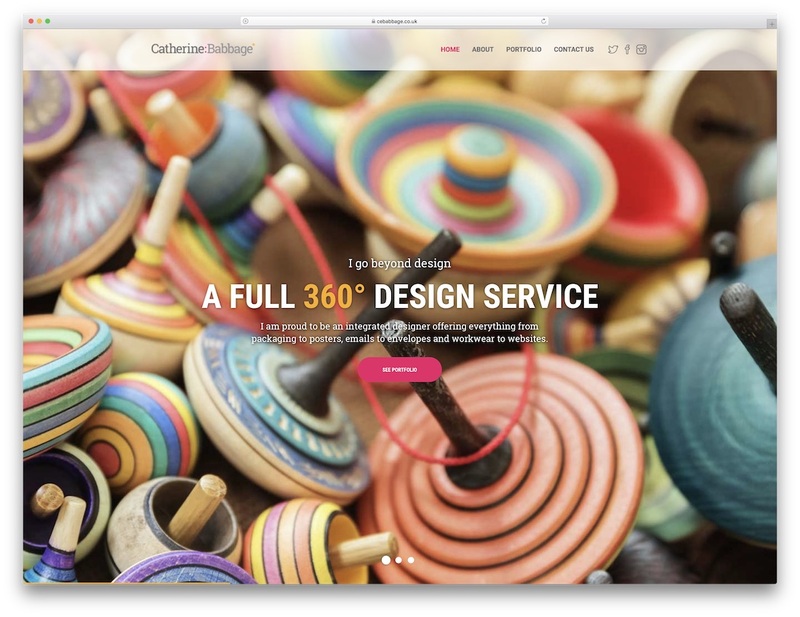 Other animations and effects spice up the website experience and get you familiar with the service. Do you need to construct a website for the exceptional product you are working on? Jevelin is ready to take the challenge. 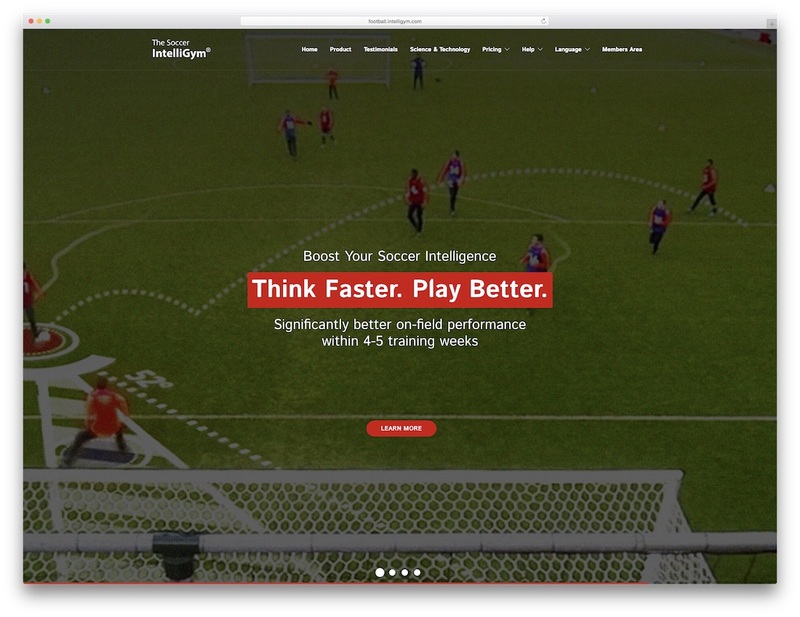 What The Football IntelliGym does, it boosts players’ game intelligence which improves their performance on the field. Even if you are an IT-based company, you do not have to craft a website for your business from scratch. Instead, focus on building your brand while a powerful WordPress theme like Jevelin takes care of your website. Besides, the predefined content gives you enough freedom to further edit and modify it to bring about the exact web design you fancy. One more professional Jevelin theme example is Genos. 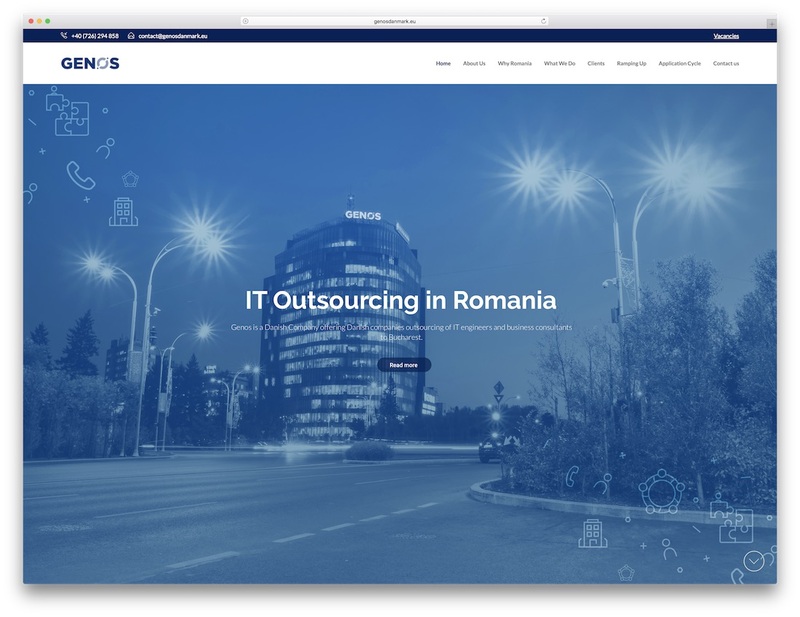 A Danish company that focuses on IT engineers and business consultancy. Elegant and to the point layout with integrated Google Maps and plenty inner pages that cover every section of the business. You might already checked Jevelin’s landing page 2 demo but the time has come to see it in action. There is no better way of doing it than by visiting IndiePro Summit. 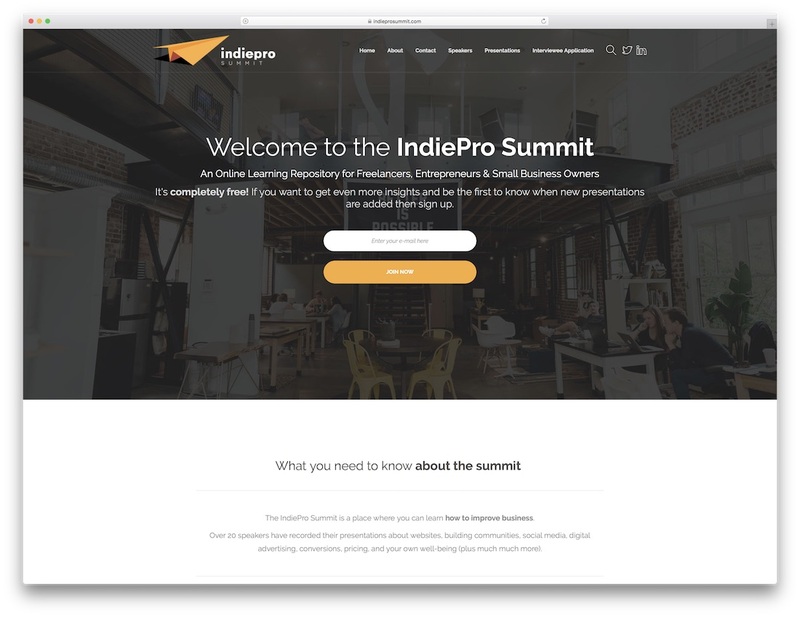 They cut out some of the stuff but more or less, the final web design of IndiePro Summit is pretty much identical to the Jevelin demo. The timeline, the colors and the guest speakers section are taken from the demo with an addition of another subscription box at the bottom. When in need of a landing page for a conference or even website, pick one of Jevelin’s landing page demos and start adjusting them. CE Babbage is a classic take on Jevelin theme with additional tweaks that you, too, can perform at free will. 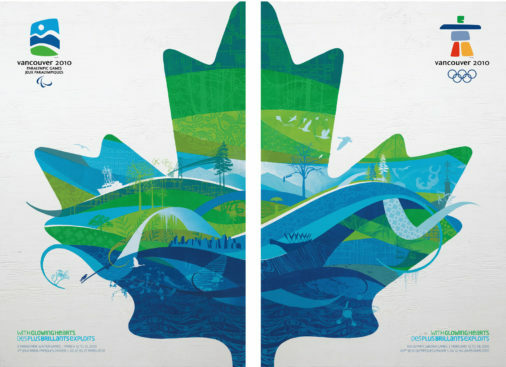 Catherine Babbage is a graphic designer with well over ten years of experience in the industry of creatives. Did she decide to build a website for her business from the ground up? Of course, she did not. Instead, Catherine scouted the web for the best WordPress theme and decided to stick with Jeveline. That makes her website, CE Babbage, a nice Jevelin theme example. If it is not obvious enough that Jevelin theme can be for everyone, let’s look at Dana Taft Yoga. Yogis, personal trainers and studios, all are welcome to work with Jevelin. Get your services online or refresh your current yoga website with great web design. Dana Taft advertises her yoga classes with a nifty website powered by the WordPress theme behemoth. Big slider with parallax effect followed by her mission are two main things a visitor sees. Scrolling further down and you will find her workshops, testimonials and a strategic take on newsletter subscription box. At least regarding the fact how Dana gets new clients on board. Although mentioned many times before, let’s do it again since it is just the perfect timing. If you do not know what approach to take regarding the design of your website, do not overcomplicate and avoid the complexity. You do not need that. Simpleness is the real beauty that appeals to a wide audience. Joshua Hailpern is an engineer and a designer simultaneously with an official website perfectly crafted for his needs. When pushing your services and talent, there is no need for you to add any clutter to your website. 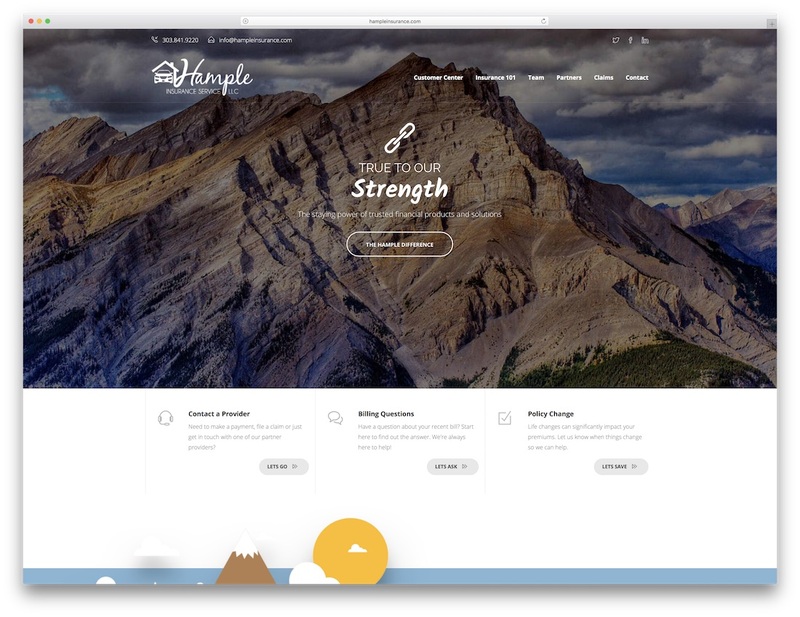 He took a different approach creating a website with Jevelin theme. Not only did it took him the minimum amount of effort, but the final product is also super minimal. Need a medical oriented website? Are you a skilled practitioner who is looking for a way to expand his or her business with a website. Reach a wider audience as of today by picking Jevelin WordPress theme and let it take care of the majority of work. With the one-click install feature, any type of medical website can be finished in a short period of time. 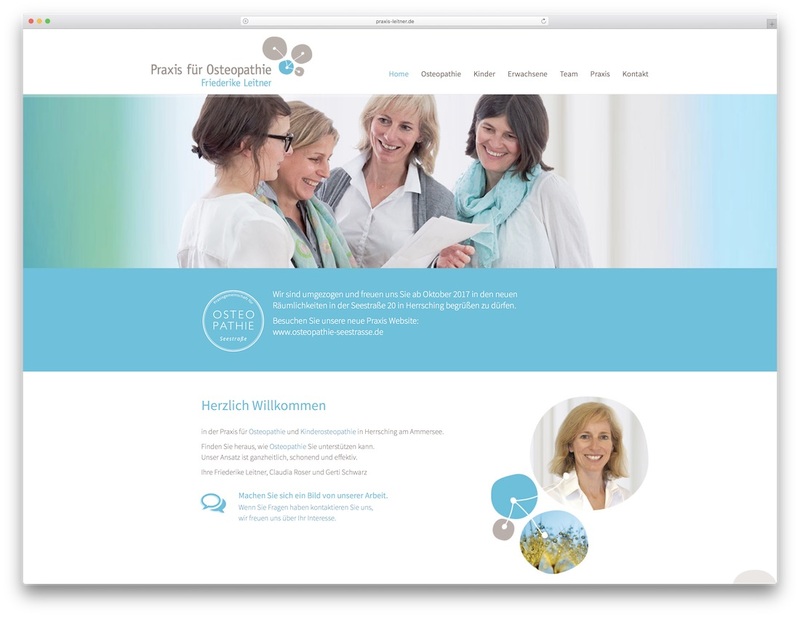 For something as simple, yet expert, as German’s Praxis für Osteopathie website it will take you the tiniest amount of effort. Eden Festival is a one-of-a-kind festival that is held annually in Scotland promoting music of different types. To reach even more potential attendees, they brought the event to the online space with help from Jevelin theme. Just like the event is unique so is the website representing it. 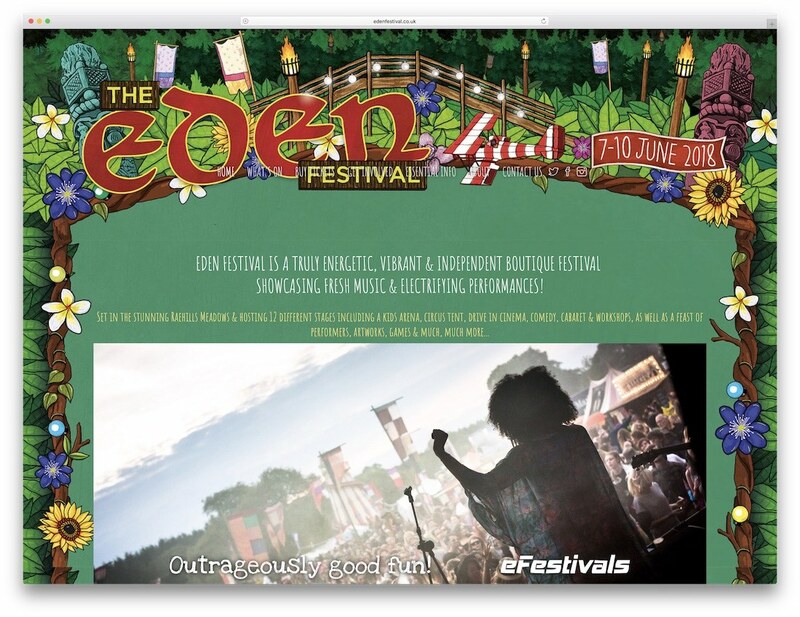 Without question, Eden Festival is a fine Jevelin theme example, showing you how adaptable the item is. No matter how wild your creativity is, it is the solid theme that can handle it all. And it does it with style, elegance and perfectionism. Lone Kirketerp is a multi-talented woman who enjoys doing all sorts of stuff with her hands. Mostly, Lone does sculpturing but is no stranger to painting. On metal, of course. Lone is an artist by heart who needed a website sorted out. Naturally, she has chosen wisely and went with Jevelin theme. Her work is beautifully displayed with large images on a full-width responsive and mobile-ready layout. 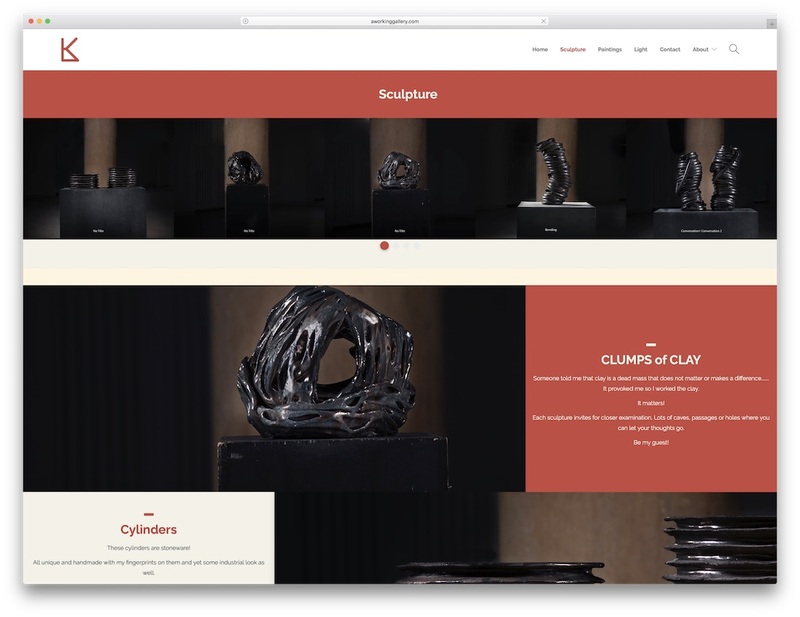 While Lone experiences working with ceramics in a sensual way, you will encounter with her website entirely differently. As for your website, create an atypical adventure for each and every single one of your visitors. Another great thing of Jevelin WordPress theme is its compatibility with creating an online store. 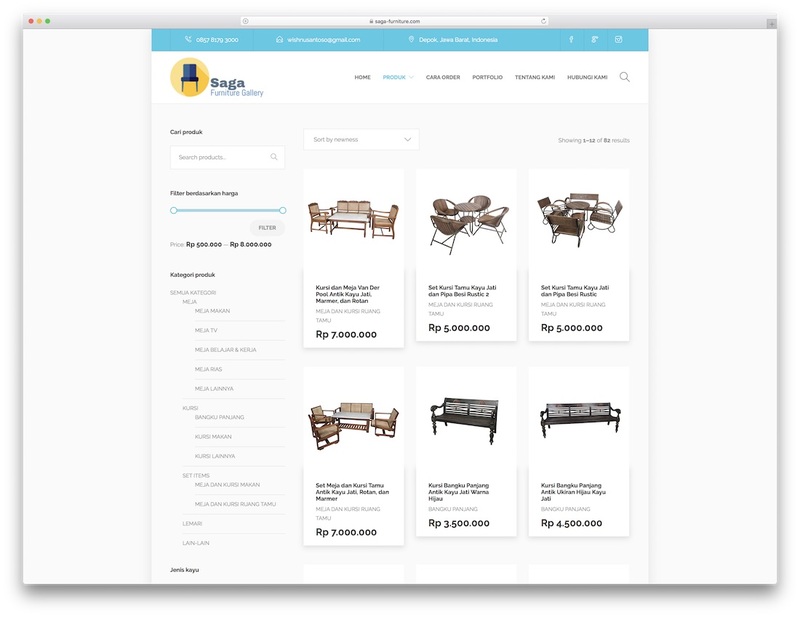 You can do any but in this case, we will take a peek at an Indonesian furniture store, Saga Furniture. It uses a boxed layout with a gorgeous slider what gives you a quick idea what the website it all about. Moreover, services appear on scroll, the menu is sticky and the order process section enriched with typewriter effect. Google Maps, social icons, filterable portfolio and other coolness is what you can take pleasure in and get inspired by. TK Parnas might not be in the language you speak but that just shows how translatable Jevelin theme is. 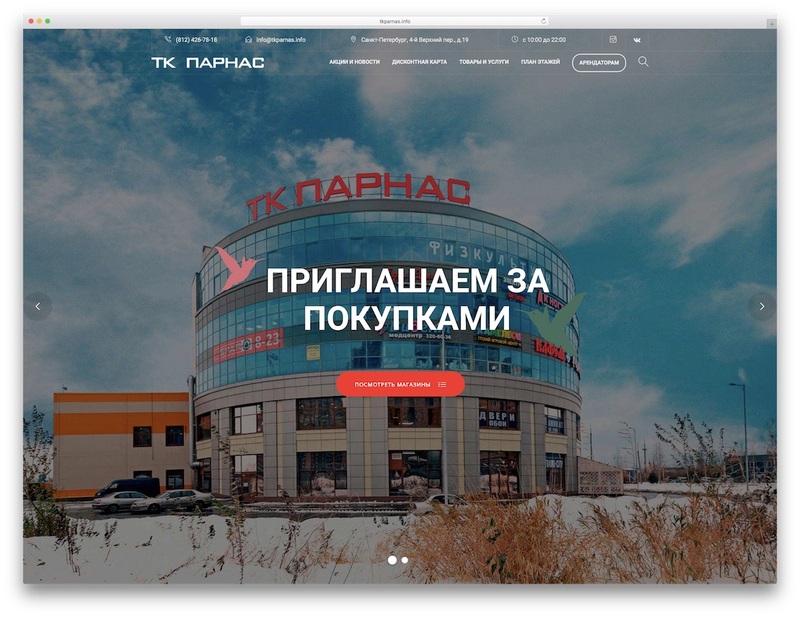 Furthermore, TK Parnas uses one of the most common layouts, the one with a full-screen slider. You will also spot the parallax effect, sticky menu, hover effects and a contact pop-up form. To some extent, the website is quite elementary and does not overwhelm the visitor. On the other hand, the features are there, organized and brought to the user with conveniency in mind. Let these Jevelin theme examples be an inspiration what is possible with the product. And that, my friends, is a lot. How you use Jevelin theme is entirely up to you. Do things your way and put together a customized and individualized version of the theme.